At a number of key points along the journey we took video of ourselves walking West along the path that our queer forefathers had taken 170 years earlier. We displayed this video as a four-channel rear-projected installation. 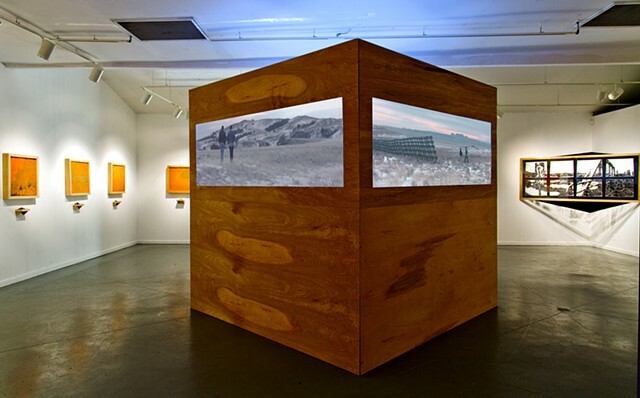 The combination of rear-projection, ambient light, and custom screens helped the video take on a muted, painterly quality, a light-handed reference to Alfred Jacob Miller's epic oil landscapes commissioned by Stewart during an earlier Rocky Mountain expedition.